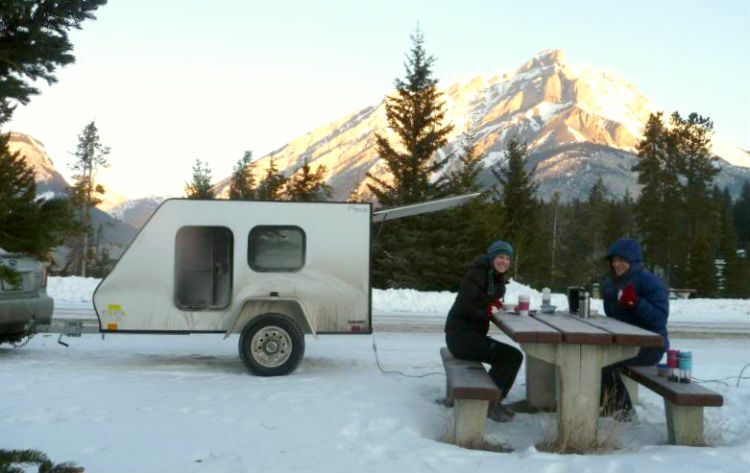 Most people don’t associate camping with winter, but there are many reasons why RVing in winter can be one of the best times to camp and enjoy the outdoors. While preparing for winter camping is a must to some degree for most rigs, it opens up new adventures you can look forward to every season. With the Foliage off the trees and underbrush often flattened by the snow, RVing in winter means RVers can see more and traverse off trails easier. So, this allows the exploring of places that are not always accessible during summer. 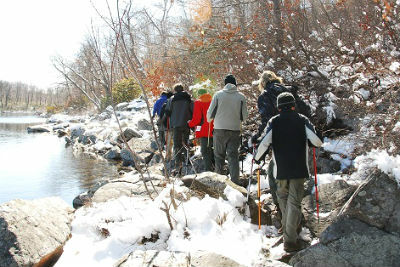 Further, in colder climates, lakes and ponds freeze up, meaning you can “walk on water” and access areas that would otherwise require a boat. Stargazing is also clearer as the cold crisp, winter air allows better views of celestial bodies. Additionally, those in northern locations can even admire the Northern Lights. Most RV parks and campgrounds offer winter rates with considerable savings. In Washington State, where I live, seniors can purchase an off-season state park pass for $75, which allows them to camp for free in standard campsites from October through the end of March (or utility sites for $10 per night). Also, with often limited hook-ups this time of year, there are concerns about RV plumbing freezing. With a little know-how, there are ways to keep your plumbing from freezing when winter camping. Summer camping lends itself to hiking, swimming, biking and boating. Conversely, in the winter months RVers can go snowshoeing, cross-country skiing, snowmobiling, ice fishing and sledding/tubing. RVs are the perfect way to enjoy these winter sports. The storage space can easily accommodate most of the required gear and provide a warm dry place to return to at the end of the day. Not only are campsites cheaper in the winter, but the they have less crowds (if not practically empty). Also, less crowds means less noise from other campers, a larger selection of campsites and the chance to enjoy the amenities in relative solitude. Flying and biting insects, like mosquitoes, are reasons why people dislike camping. In the winter, insects are either frozen out or have gone dormant providing for a bug-free environment. So, leave the bug spray at home. Get out there and try RVing in winter, you just may discover it`s your new favorite season of the year. Plus, you may never have to winterize your RV again.